Listen to an interview with Ivan by clicking the play button below. You can download the MP3 here. Verdict ... and the Struggle Continues! 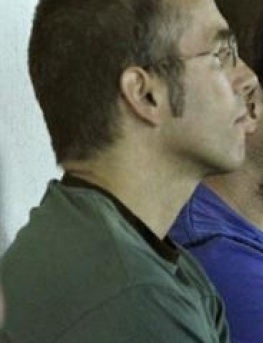 On 17 and 18 October 2011, Iban Apaolaza Sancho appeared before the Audiencia Nacional (special anti-terrorist court in Spain), with his co-accused, Gorka Palacios, Jon Olarra Guridi and Oier Goitia. His highly politicized trial attempted to link him to an attack attributed to the ETA which took place in November 2001 in Madrid. After a real mascarade of justice, which took a total of eight hours, and in which secret witnesses, evidence obtained under torture and the complete absence of tangible evidence was the norm, Ivan was condemned to 10 years in prison for "possession of explosives and materials of war". This decision was particularly shocking because the only evidence presented during Ivan's hearing (a finger print on a tourist guide and DNA on a sock) were derived from a statement by Ana Belen Egues Gurrutxaga, which a Canadian Immigration and Refugee Board (IRB) commissioner decided was probably obtained under torture. Ana Belen Egues Gurrutxaga repudiated this testimony, which she gave when she was held incommunicado by the Spanish Civil Guard in November 2001. She also formally submitted a complaint about torture and abuse. This was never properly investigated. Iban's legal team in the Basque country will appeal the decision to the Supreme Court. Canada's responsibility: complicity in torture and "disguised extradition"
On 18 October 2008, Iban Apaolaza Sancho was deported from Canada and handed directly over to Spanish police. Iban had been arrested in June 2007 in Quebec on the basis of an arrest warrant from Spanish authorities, and detained at Rivière des Prairies prison in Montreal. He had lived in Canada since 2001. Instead of using extradition measures, more usual in the case of Basque prisoners, Canada relied on the IRB to examine Iban's case. Under Canadian law, this prevented Iban from applying for refugee status. It also meant that there was no formal agreement in place with Spain about what charges could be brought against Iban, and hence no formal control over Spain's use of Ana Belen's statement in his prosecution. The IRB deemed Iban inadmissable to Canada for reasons of 'security'. No evidence was ever submitted by the crown to justify Iban's detention or subsequent deportation, but the Spanish arrest warrants were clearly based on Ana Belen's statement. Canadian authorities bear full responsibilty for the outcome of Iban's trial. The use of Ana Belen Egues Gurrutxaga's statement in the trial is a violation of the Convention against Torture (CAT). Article 15 of CAT says that other countries, like Canada, have a responsiblity to ensure that such information is not used in criminal trials. The Freedom for Ivan Committee is working on bringing a complaint against Canada to the Committee against Torture at the UN for violating Article 15 of CAT - for having deported Iban in 2008 on the basis of a statement their own tribunals recognized as deriving from torture and refusing to intervene to ensure that evidence deriving from torture would not be used against him. On 18 October 2008, Iban Apaolaza Sancho, a Basque activist who had taken refuge in Canada since 2001, was deported from Canada in a special charter flight, manacled hands and feet, and handed over to Spanish authorities. His deportation took place despite a 15 month campaign, during which time Iban was imprisoned in Rivière des Prairies prison in Montreal. He was deported on the basis of an IRB Commissioner's decision that ruled he was inadmissable to Canada for reasons of security. This decision, which the Federal Court refused to review, was based on pure allegations by the Spanish government, based on information that the IRB itself acknowledged was probably obtained by torture. Note, while Iban's name is spelled "Ivan" in Canada and Spain, we're using the Basque spelling here. The prison where Iban is currently held is a fortress rising in arid lands about 20 minutes south of Madrid. One of our delegates was able to visit Iban there after the trial. After having her photo and finger-prints taken, she was able to speak with Iban through a glass window for just over half an hour. Iban, who is cautiously optimistic about the outcome of his case, said he felt incredibly encouraged by the support from Canada. He passed along his thanks to everyone for this support. The absence of tangible evidence linking the accused, including Iban, to any concrete criminal offence. A trial that is based mainly on vague charges attempting to tie the accused, including Iban, to a general "criminality". Evidence used by the prosecution is based on a statement from a Basque political prisoner which was obtained by the Spanish "civil guard" under torture. Responsibility of Canada: complicity in torture and "disguised extradition"
On 18 October 2008, Iban Apaolaza Sancho was deported from Canada, where he was living since 2001, and handed over to authorities in Spain. Iban was arrested in June 2007 on the basis of a Spanish arrest warrant. He was detained at Rivière des Prairies prison in Montreal. In similar situations, where another country has requested that one of its citizens be handed over to face criminal proceedings, Canada would normally rely on extradition proceedings. In this way, Gorka and Eduardo, two Basque political prisoners, were extradited to Spain in 2005. However, Iban was declared inadmissable to Canada on "security" grounds by the Immigration and Refugee Board (IRB). This use of deportation proceedings, relying on the Immigration and Refugee Protection Act rather than extradition law, had important consequences. If Iban had faced extradition, Spanish authorities would have been forced to provide clarifications about its attempts to justify the extradition. In the event, despite many requests by Iban's lawyers, Spain failed to produce anything beyond the allegations contained in the arrest warrants. Moreover, in an extradition case, Spain would have been restricted to charging Iban with the crimes alleged in the extradition request. In the circumstances, Spain was free to add further charges, and did so. In short, Canada carried out a "disguised extradition" by deporting Iban to Spain; relying on the relatively lower standards of immigration law and giving Spain free reign with Iban once he was in their hands. Canada thus bears strong responsibility for the outcome of the trial. The fact that the proceedings relied on a statement by Ana Belén Egües Garruchaga which the Immigration and Refugee Board recognized, in 2008, was probably obtained under torture is a violation of the Convention against Torture. According to article 15 of this Convention, Canada has a responsilbity to ensure that such information is not used as evidence. Call to action: Remind Canada of its responsibility! Despite our letters, calls and even a visit to the Canadian Embassy in Madrid, Canada has remained silent. Please make one last effort to demand that Canada take responsibility. The fate of Iban Apaolaza Sancho hangs in the balance. * While his name is rendered "Ivan" in Canada and Spain, his name is actually "Iban", according to the regular Basque spelling. Chief Justice Alfonso Guevarra continued the hearings, dividing the time between prosecution and defence. On one side, the Examining Magistrate Ana Noé, who leads the prosecution, followed by three third-party intervenors for the prosecution, including an association for the victims of terrorism. On the other, the three lawyers for the defence. As on the previous day, a dozen anonymous witnesses were introduced by the prosecution. For the most part, these were again police officers, who generally contented themselves with ratifying the contents of written statements made at the time of the alleged facts or over the last ten years. Next, both prosecution and defence made their arguments. Examining magistrate Ana Noé then summarized the list of evidence: the statements by Ana Belén Egües Garruchaga and Aitor García Aliaga; and fingerprints found in an apartment in the city of Salamanca in which weapons were found in November 2001. The association for the victims of terrorism then spoke about the danger posed by « terrorists ». The defence raised the fact that the searches carried out by the police in the Salamanca apartment were illegal, because they were not authorized by a warrant signed by an Audiencia Nacional judge. The defence lawyers also pointed out that none of the accused face clear allegations linking them to a particular event. Rather, the allegations attempt to link the accused to a general « criminality » or to associate them with « terrorist activities », without proving a direct link between any one of the accused and specific crimes that have been committed. 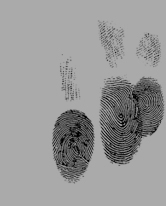 The defence also questioned the credibility of the fingerprint evidence, noting that the examples submitted as evidence were found on a tourist guide and a train ticket; objects that are mobile and could easily have been transported from one place to another or passed from hand to hand. The presence of fingerprints on these objects in the apartment, they argued, in no way proves a link between the people who had handled them and terrorist operations. In any case, Ivan openly admitted having visited this apartment in October 1999; this could also explain why his fingerprints were found there in November 2001. The most striking aspect of the trial was the use of information derived from a statement by Ana Belen Egües Garruchaga obtained under torture. This evidence would have been inadmissible in a criminal court in Canada and is condemned by the UN Convention against Torture (Article 15). After the closing arguments, the Judge declared the hearings over and the public was pushed outside, giving a last wave to the accused, who disappeared behind a closed door. The verdict is expected during the next month, but there are no guarantees. For days before the trial even began, the conviction of « four ETA terrorists » was announced in the headlines. The stories jumbled together accounts of attacks that had nothing whatsoever to do with allegations against the accused, and in some cases new allegations were invented wholesale. Amidst the utter confusion in the media, important questions about the weakness of the (almost non-existent) material evidence against the accused were lost. In addition, the only journalists actually present in the courtroom on the second day of the trial left the room during closing arguments by the defence, after having taken careful note of all of the prosecution's points. Moreover, although the trial is considered to be public, this is somewhat illusionary. Spaces for the public are limited and witnesses are inaudible, so that family and members of the public who are present hear, at most, the questions posed by the prosecution and defense. The delegation visited the Canadian Embassy in Madrid the day after the trial to make their report. They met with Nathalie Sauvé, a political attaché in the Canadian Mission to Spain. They informed her that Spain had used a statement that a Canadian tribunal had acknowledged was probably obtained under torture as evidence in the trial. This statement was repudiated in court by the witness, who stated that she had signed the statement in incommunicado detention, where she had been tortured and subject to ill treatment. Ms. Sauvé noted that the Embassy had been receiving calls from people who were concerned. She also noted that former Liberal Party leader Stéphane Dion had become involved. Ms. Sauvé appeared to be alarmed about the prospect of media attention to the affair. A response from the Ministry of Foreign Affairs is expected this week. Please call or write the Canadian Ambassador in Spain, Graham Shantz, and ask him to intervene in this case. Canada is directly responsible for what happens to Ivan because Canada handed him over to Spanish authorities in 2008. According to Article 15 of the UN Convention against Torture, Canada (and all other signatories) are responsible for ensuring that statements made under torture are not used as evidence. The Immigration and Refugee Board, a Canadian tribunal, recognized in May 2008 that Ana Belen Egues Garruchaga's statement, used in this trial, was probably obtained under torture. On 18 October 2008, Ivan Apaolaza Sancho, a Basque activist who sought refuge in Canada in 2001, was deported from Canada, on a charter flight, manacled hand and foot, and handed over to Spanish authorities. His deportation marked a bitter ending to a 15-month campaign, during which he was imprisoned in Rivière-des-Prairies prison in Montreal. Ivan was deported following an Immigration and Refugee Board (IRB) decision that he was inadmissible on “security” grounds. This decision, which the Federal Court refused to review, was made on the basis of bald allegations by the Spanish government, which, in turn, were based on information that the IRB itself recognized was probably obtained under torture. Ivan's trial is now taking place in Madrid, where he is accused of having participated in planning attacks which never took place. He faces at least thirty years in prison, and possibly fifty-five years. hold Canadian officials accountable for their complicity with political repression in Spain. In Spain, the doors of the Audiencia Nacional open for some, while fifty others wait outside, behind a police barricade. The Audiencia Nacional is a special court for terrorism in Spain, successor of the fascist Tribunal d'Ordre Públic set up by Franco. Inside, the room is only half-full: some members of the families of Gorka Palacios, Jon Olarra Guridi, Oier Goitia and Ivan Apaolaza Sancho trickle in, making their way into the room, while many others, though they have travelled for more than five hours, must remain outside on the street as their loved ones face life sentences. The public room is separated from the hearing by a wall of plexiglass; on one side, sit the accused in their own box, separated from both public and court. Chief Justice Alfonso Guevarra presides, hearing prosecution and defence in turn. The hearing begins with the cross-examination of the four accused. Two have decided not to respond to any questions at all, refusing to give the court proceedings any legitimacy. The other two refuse to respond to the prosecution and only answer questions put by the defence. This is common practice among political prisoners; a way of challenging process at the Audiencia Nacional. The two first witnesses to testify are Ana Belén Egües Garruchaga and Aitor García Aliaga, convicted in October 2005 to 1042 years in prison. The charges against Gorka Palacios, Jon Olarra Guridi, Oier Goitia and Ivan Apaolaza Sancho are entirely based on statements signed by these two witnesses when they were held in incommunicado detention. Spanish law allows police to detain suspects incommunicado for up to 13 days, without any contact with the outside world, whether family, lawyers or doctors. Ana Belén Egües and Aitor García Aliaga both repudiate the content of these statements. As they have stated many times: the statements were made when they were in incommunicado detention, after they had been subjected to torture and ill-treatment. Neither Ana Belén Egües nor Aitor García Aliaga have ever affirmed the contents of the statements before a judge, and both filed complaints against the abuse after their release from incommunicado detention. The use of information obtained under torture is deeply disturbing. Even in security certificate cases, notorious in Canada for their low standards of evidence, courts are supposed to exclude information that seems to have been obtained as a result of torture. At this point in the hearing, a curtain was drawn, preventing the accused and the public from seeing about a dozen witnesses who testified anonymously. For the most part, the witnesses were police officers who testified that they had no precise memory of the case, but nevertheless affirmed the truth of their written statements, which had been provided as evidence. Judge Guevara finally turned on one of the police officers, saying that he had heard that the police officers had been ordered by their superiors to simply ratify their statements and say nothing more. The use of anonymous witnesses is very serious; it strengthens the conviction that legal standards used by the Audiencia Nacional do not meet international norms. Witnesses testified one after the other, their credibility undermined by their anonymity. Most of the exchanges in the courtroom took place outside the range of the microphones which were supposed to carry the sound into the public area. This made it impossible for the families to follow everything that unfolded. The first day of hearings exposed the exceptional treatment of Basque political prisoners: tried in a special court, which relies on legal standards far from international norms; use of information obtained under torture; contemptuous treatment of family members; and excessive sentences. This system of repression is part of the criminalization of all Basque movements and Basque civil society as a whole. Today, please call or write the Canadian Ambassador in Spain, Graham Shantz, and ask him to intervene immediately in this case. Canada is directly responsible for what happens to Ivan because Canada deported him to Spain in 2008. The standards of evidence accepted by the Audiencia Nacional contravenes international norms. A Canadian delegation of observers is in Madrid and the Ambassador should meet with them about this case as a matter of Canada taking responsibility for its actions. On 18 October 2008, Ivan Apaolaza Sancho was deported from Canada by special charter flight, manacled hand and foot, and handed over to authorities in Spain. The deportation was a bitter ending to a fifteen month campaign in which the Basque man was imprisoned in Montreal, denied the right to apply for refugee status, and eventually deported - all on the basis of information that a Canadian tribunal recognized was obtained under torture. Under Spanish law, people charged with crimes considered terrorist can spend up to four years in pre-trial detention. Ivan has now spent three long years in a number of detention centres in Spain, all far from his home-town, under the Spanish state's dispersal policy for Basque political prisoners. UN Special Rapporteur Martin Scheinin found that this practice of dispersal "constitutes a risk and an economic burden for visits by family members, as well as a practical obstacle for the preparation of the defence in cases where pretrial inmates are incarcerated long distances away from their lawyers" (Mission to Spain, A/HRC/10/3/Add.2, 16 December 2008). Ivan's trial, under the Audiencia Nacionale - a specialized anti-terrorist court - is finally due to start on 17 October, three years after his deportation from Canada. Ivan will be tried under anti-terrorism measures of the Spanish criminal code, whose broad definitions make burning an ATM an act of "urban terrorism", criminalize lawyers and journalists for "collaboration" and "glorification of terrorism", and punish membership in a "terrorist organization" while failing to define the term. Under these sweeping provisions and Spain's much criticized inquisitorial system, Ivan will have to prove his innocence and will have two days to do so. The same information which led to Ivan's deportation from Canada, recognized by a Canadian tribunal to have been obtained by torture, is being used as evidence in his trial. The use of information obtained under torture as evidence is unjustifiable and repugnant. It is also a violation of the UN Convention against Torture which stipulates that treaty signatories, "shall ensure that any statement which is established to have been made as a result of torture shall not be invoked as evidence in any proceedings." If convicted, Ivan faces thirty years in prison. Thirty years of prison for Basque political prisoners means thirty years of uncertainty, due to the regimes of exception that are applied in these cases. According to Human Rights Watch (Setting an example? Counter-terrorism measures in Spain), Spain's practice of dispersing Basque political prisoners is considered by human rights groups to be an additional punishment and is applied arbitrarily, without legal foundation. Similarly, policies of arbitrarily extending sentences and refusing parole create a punishing atmosphere of uncertainty for Basque prisoners. Ivan was deported after the Immigration and Refugee Board (IRB) declared him inadmissable to Canada on grounds of national security. However, not one piece of evidence to support the allegations that Spain made against Ivan was presented to Canadian courts to justify this ruling. All the government provided to the court were Spanish arrest warrants containing a series of allegations. These allegations are based on a "confession" a Basque woman, Ana Belen Egues Garruchagu, made under torture while she was held incommunicado by Spanish police. In May 2008, the IRB recognized that this confession was obtained under torture. Under Canadian immigration law, people who are ruled inadmissable on national security grounds are stripped of their right to apply for refugee status, even though states have an internationally recognized obligation to grant asylum to people who are at risk of torture or other abuse. People to whom Canada denies the right to seek asylum and "failed asylum-seekers" can still apply for a Pre-Removal Risk Assessment (PRRA). If someone is assessed to be at risk under this process, in most (not all) situations, Canada will not deport them. However, as Ivan's case illustrates, PRRA applications are very rarely successful. Despite these clear grounds for finding that there was a risk to Ivan, his PRRA was dismissed. On the eve of his deportation, he turned to the Federal Court, seeking to stay the deportation so that the court could review the highly questionable PRRA decision. Denying Ivan even this limited appeal, the presiding Federal Court judge dismissed the human rights reports indicating that Ivan was indeed at risk of torture, commenting that Spain "was hardly Guantanamo". And on this basis, Ivan was deported and directly handed over to Spanish authorities. To hold Canada accountable for its complicity in political repression in Spain, to demand a fair trial for Ivan, and to express our solidarity with Ivan and the struggle for Basque self-determination, and the Committee to Support Ivan Apaolaza Sancho is calling for letter-writing to Canadian and Spanish officials, organizing a film and discussion night, and holding a public action around the trial. We are also sending several court observers to Madrid and will be making their reports public and informing media in Canada and Spain of developments in this case. Please consider supporting our court observers, who will be travelling to Spain to express solidarity and provide an international presence in court to try to hold the Audiencia Nacionale to international standards of justice. Please write a letter and send to all the addresses below, demanding a fair trial for Ivan, according to international standards of justice. Please point out that, in May 2008, Commissioner Dubé of the Canadian Immigration and Refugee Board acknowledged that the "confession" by Ana Belen Egues Garruchagu was likely obtained under torture, and that the use of this information in Ivan's trial, as well of any derivative evidence, constitutes a violation of the UN Convention Against Torture. Make clear to Canadian officials that you hold them responsible for what happens to Ivan. Come out to an evening of films on to learn about the Basque struggle and Canadian complicity in Spanish political repression. L’Écho du Silence, Les Lucioles (20 minutes, FR), Documentary on the story of Gorka and Eduardo, two Basque political prisoners who were tortured and fled to seek justice in Quebec. Ivan Apaolaza Sancho: Basque Political Prisoner (15 min, FR), Documentary on the case of a Basque political prisoner on trial in October 2011 in Madrid. presentations by Marc-André Cyr and members of the Ivan Apaolaza Support Committee. Join us in a Montreal-based action to demand a fair trial for Ivan and an end to the repression of the Basque movement for self-determination. Contact us for details: libertepourivan@gmail.com. Send a blank email to libertepourivan-subscribe@lists.riseup.net to get on Ivan's email list.